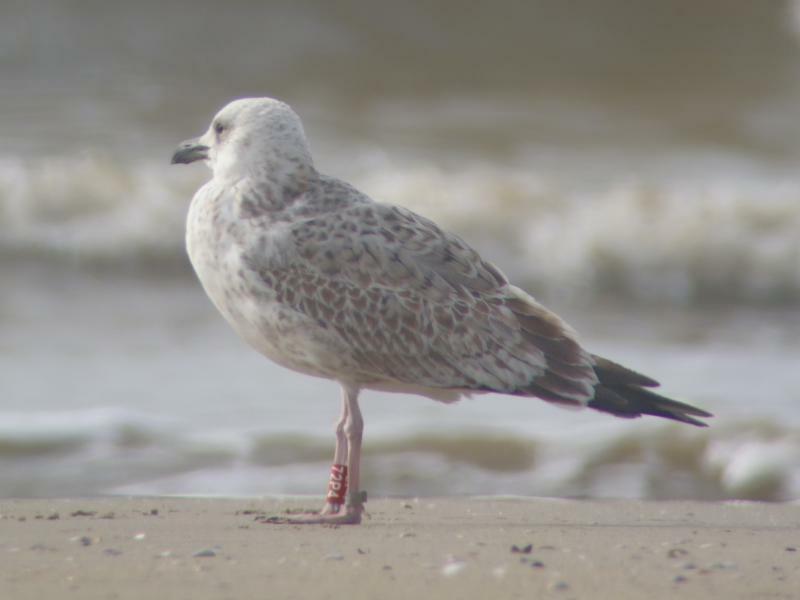 Larus cachinnans 1CY 72P4 September 28 2014, Texel, The Netherlands. 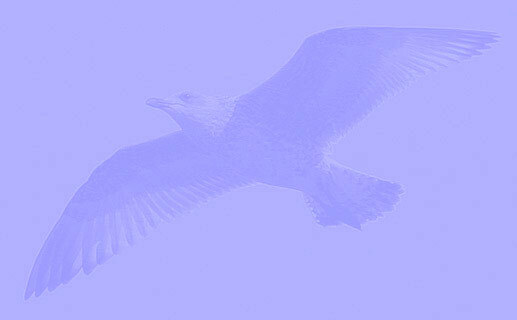 Picture: Mardik Leopold. 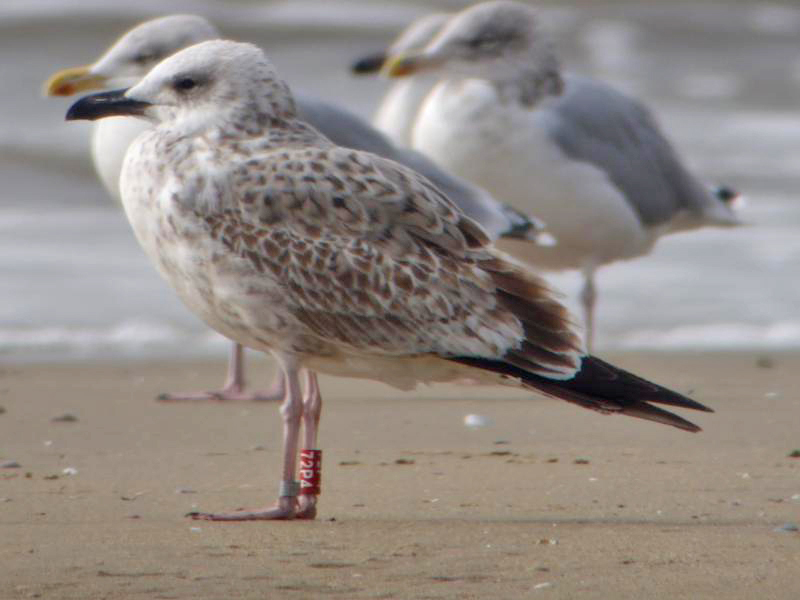 Red 72P4, ringed as pullus on May 15 2014 at Kozielno, Paczkow, S-SW Poland, (50°28' N, 16°58' E). SW Poland, close to the Tsech border.